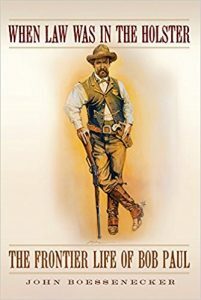 When Law Was In The Holster – The Frontier Life of Bob Paul, John Boessenecker, University of Oklahoma Press, (1-800-627-7377) $34.95, Hardcover.464 pages, Illustrations, Maps, Footnotes, Bibliography, Index. 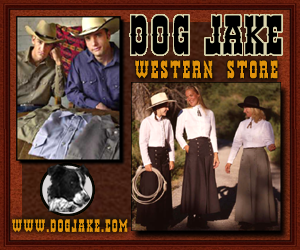 This is the biography of Sheriff Bob Paul, a frontier lawman in Old Arizona. 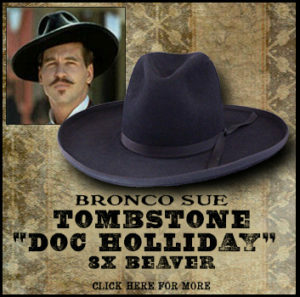 He is remembered mostly as the shotgun messenger riding the Tombstone stage that was ambushed one night in March, 1881. The driver, Bud Phitpott was killed during a volley of gunshots fired by the robbers hidden beside the road. Philpott’s body hurled over the side of the coach while the driving lines slipped away and the terrified horses bolted. Bob Paul worked the brake for nearly a mile until he finally got the runaway team under control. This stage holdup had to do with Tombstone history and has been told many times in connection with the days of Doc Holliday and the Earps. 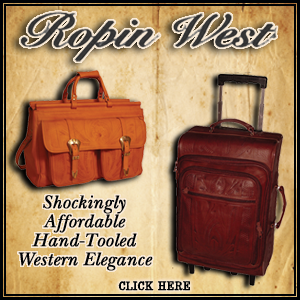 However, Bob Paul was far more important as a lawman, and his history is filled with excitement and derring-do that more than matched the Earps who dabbled periodically in law enforcement while Bob Paul spent nearly 50 years behind a badge. Paul was born on June 12, 1830 in Lowell, Massachusetts. The youngest of three brothers, Paul spent his first few years in Lowell before the family moved to the seaport town of New Bedford. Here, they worked hard in their boardinghouse. Paul’s father died in 1839, leaving the family in dire financial straits. Young Bob, only 12 years old, signed on as a cabin boy with the 197-ton whale ship Majestic. Thus began a succession of experiences on a variety of whale ships for the next 8 years. Bob Paul advanced from cabin boy to second or third mate, sailing the South Pacific from Peru to the Sea of Japan and back to Hawaii. In 1848, Paul learned of the huge gold strike in California, and seething with gold fever, asked for a discharge from the whale ship Nassau. He sailed right away for San Francisco. In time his prospecting led to law enforcement, as he learned the vagaries of the gold mining business did not always lead to economic security. Paul, a straight-shooter who stood over six feet tall, with massive frame and lighting fists, had a no-nonsense demeanor. In the rough and tumble goldfields, he arrested claim jumpers, rescued a number of individuals from vigilante justice, and himself oversaw legal hangings when he became sheriff of Calaveras County. The book discusses his marriage to a young Catholic woman, followed by his employment as a Wells Fargo detective. Eventually the Paul family, having added a number of children, moved from California to Pima County, Arizona where Margaret lived with the children in Tucson. 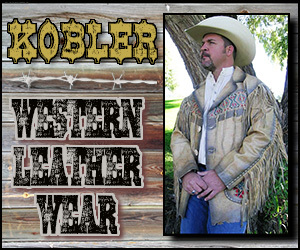 In Cochise County Paul dealt with Tombstone politics, the rustler element, and a succession of notorious outlaws. He supervised the execution of the murderers who perpetrated the “Bisbee Massacre”, and eventually ran for Pima County Sheriff. For the rest of his life he dealt with political enemies, newspaper critics, and family tragedies. Sheriff Paul is the man who arrested and held the infamous lady stagecoach robber Pearl Hart in his Tucson jail. Sheriff Bob ‘Paul is not a romantic figure wearing a long black coat, or having a squadron of brothers who looked just like him. The one woman in his life was his beloved wife from whom he never strayed. Hollywood did not single him out to star in romanticized flicks, but Sheriff Bob Paul was the real deal, and deserves to be finally recognized. This fascinating story so well written and carefully researched is certainly an important addition to your Old West library. Kudos to author John Boessenecker for a job well done. Editor’s Note: The reviewer, Phyllis Morreale-de la Garza is the author of 15 published books about the Old West, including Nine Days at Dragoon Springs, published by Silk Label Books, P. 0. Box 700, Unionville, New York 10988-0700 www.silklabelbooks.com. 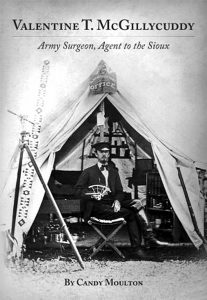 Valentine T. McGillycuddy; Army Surgeon, Agent to the Sioux, Candy Moulton, University of Oklahoma Press, (405) 325-3200, $26.95, Paperback. Biography/U.S. History, 292 pages, Map, Illustrations, Notes, Bibliography, Index. Valentine Trant McGillycuddy was born in 1849 in Racine, Wisconsin. His parents were shopkeepers. The boy had several siblings, and even as a child was drawn to healing the sick, practicing on the family pets. He entered the University of Michigan at age seventeen, and became a doctor at age twenty, completing medical school at the Marine Hospital of Detroit. The young doctor treated a variety of ailments from accidents and injuries to the hopeless mental conditions of patients at the Wayne County Insane Asylum. Soon McGillycuddy’s own physical and mental conditions began to fail, and by 1870 he took some engineering courses and joined the U.S. Corps of Topographical Engineers. He headed Out West into the great outdoors to recover his health. Soon he became a cartographer and surveyor as well as physician. Tall and thin, McGillycuddy had a short beard and sharp eyes. He became a rugged outdoors man, good with fractious horses and able to withstand harsh weather conditions as he worked with various surveying crews, and to “keep warm” he became a hard drinker. A member of the Boundary Commission in 1874, he entered the Northern Plains Indian Territory. From here it was on to the Black Hills where he met eccentric characters such as Calamity Jane tagging along with the Black Hills Expedition. In later years McGillycuddy wrote about Jane’s involvement with the expedition and we see how her imaginative legend was perpetrated as she told many whoppers to anyone who would listen. For a while this book concentrates mostly on all the politics surrounding the Sioux wars, military people, harangues between the generals and politicians in Washington D.C., treaties made and promises broken. All of this information is found in books written with greater detail than found here, but this one gives a quick and easy to understand evaluation of the Indian Wars problems. We wish this were told from McGillycuddy’s point of view, since many pages sometimes go by when he is not mentioned, thus he drifts into the background. McGillycuddy had a wife named Fanny Hoyt whom he met early in his career, and who traipsed along with him as much as possible keeping a diary about army life and loneliness for a woman in the wilderness. She seemed to be a good sport however, learning to ride horseback and keeping the home fires burning. Rough housing, few female companions and harsh living conditions could not have been easy. McGillycuddy was present at Camp Robinson the day Crazy Horse was murdered at the fort, where he demanding the dying chief be put into the adjutant’s office rather than the guardhouse. After Fanny’s death from stroke, McGillycuddy married a second time to a woman much younger than himself who had a daughter with him and wrote his biography. McGillycuddy died in 1939. His cremated remains are buried on Harvey Peak in the Black Hills. He is much to be admired for his hard work, gumption, and straightforward dealings with those around him. He was a good husband and father. This is a good, well-written book about a fascinating character who has been mostly overlooked by historians until now. Kudos to Candy Moulton for bringing this man to our attention. You can grab this book HERE. 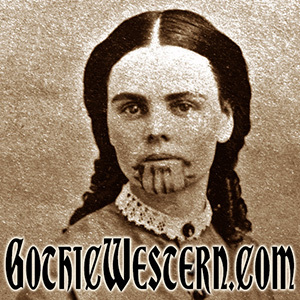 Editor’s Note: The reviewer, Phyllis Morreale-de la Garza is the author of numerous books about the Old West including The Apache Kid, published by Westernlore Press, P.O. Box 35305, Tucson, Arizona 85740. 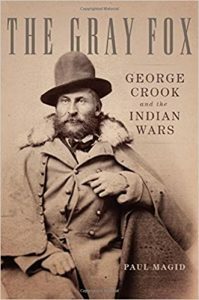 The Gray Fox; George Crook and the Indian Wars, Paul Magid, University of Oklahoma Press, (800 627-7377), $29.95, Cloth, 480 pages, Photographs, Notes, Bibliography, Index. This book is the second of a trilogy written about the life and military career of General George Crook. The author concentrates here on the years 1866-1877. (The first book is titled From the Redwoods to Appomattox, telling about Crook’s early life and including his involvement in the Civil War, check it out HERE). Born in Ohio in 1829, raised on the family farm, Crook was admitted to West Point when he was eighteen years old. He graduated near the bottom of his class in 1852. The Indians nicknamed him “The Gray Fox,” which was not exactly a compliment. Crook stood close to six feet tall, with blue eyes a little too close together, a sharply pointed nose, graying close-clipped hair, thin lips and humorless personality. He served for eight years on the Pacific Coast where he campaigned against Indians in both the Rogue River War and the Yakima War. When necessary, he could live off the land. His hunting expeditions while in the field became one of his peculiarities. Crook rarely dressed in military garb while campaigning. He was usually found wearing canvas clothing, high work boots and a straw hat. In Arizona he rode a mule named Apache. Crook relied heavily on mule packing opposed to hauling supplies and equipment in slow-moving wagon trains. Author Magid follows the tortured and twisting trails of General Crook throughout the early Apache campaign in Arizona, and then Crook is transferred to the Northwest where he is embroiled in battles against Sioux and Cheyenne warriors. Readers follow him through long, grueling marches, freezing winter snows, forage shortages, sick and starving horses, loss of life and always the political harangues he faced with his superiors in Washington, D.C.
Crook was notorious for keeping battle plans to himself, much to the annoyance of some officers in his command. He was known to go off by himself to hunt game, returning to camp with fish and fowl, and occasionally deer or buffalo meat for the troops. He eventually learned the art of taxidermy to preserve some of. his best trophies. He was eccentric, somewhat mysterious, tough on himself as well as the men around him, but the Indians considered him a worthy and dangerous foe. They knew he was a man of his word. This book is hardly a long, dry history lesson. The talented author keeps the story rolling forward with easy-to-read prose. Crook’s personality is fairly dealt with, even though the man was difficult to understand. Crook had a myriad of complicated issues to deal with, but kept his stoic silence most of the time. The author obviously is a Crook fan, and is to be commended for writing about the murder of Crazy Horse as honestly as possible, telling all sides of the story. Most likely Crook was aware of the skullduggery afoot. When, at the end of the Sioux War, Crazy Horse was lured to Camp Robinson on the pretext of talks about a reservation for his people, the war chief was captured instead, and brutally murdered inside the fort. When we turn the last page, we have mixed emotions about General Crook. He left no personal diaries or notes about himself, so history must rely on the observations of those who worked and lived with him, as well as his military successes and failures. Criticized by some, praised by others, General Crook is a fascinating personality. We look forward to the third book in Magid’s trilogy focusing on Crook’s involvement ending the Apache Wars in Arizona. Editor’s Note: Reviewer Phyllis Morreale-de la Garza is the author of numerous books about the Old West, including the novel Hell Horse Winter of the Apache Kid, published by Silk Label Books, P.O. Box 700, Unionville, New York 10988-0700, www.silklabelbooks.corn. 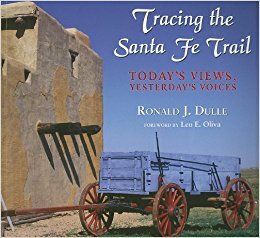 This photographic journey along the Santa Fe Trail is a treasure of outstanding color photos combined with a detailed, step by step history of this important trail wending its way across the American West between the Missouri river valley and northern Mexico. Readers turn the pages of history from 1821 through 1880, witnessing caravans of freight wagons, lumbering oxen, stoic Missouri mules, and faithful horses traveling this international route used by military men, hunters, pioneers, homesteaders, tradesmen, bullwhackers and every sort of adventurer. By 1880 the railroads put the Santa Fe Trail out of importance but before trains on rails edged out horses and mules, this road seethed with adventure. Maps inside the book give a detailed description of the trail running from St. Louis, Missouri to Santa Fe, New Mexico. As we turn the pages, magnificent photos combined with carefully written essays tell the story. Scenes of trapper’s tents along the Missouri River, historical markers explaining old battle scenes, patient oxen ready for work, military forts, restored buildings in Kansas boom towns, and haunting wagon ruts are still visible across the prairie. The author takes us along this spectacular tour of historical places while explaining the importance of each scene. We get an emotional glimpse of what it must have been like to walk or ride along this trail. We imagine the squeak of freight wagons, the clank of trace chains, and can almost feel the lonesome prairie vastness surrounding brave travelers as they went along their way. Every type of conveyance from buggies to huge Conestogas lumbered along. Trade goods included salt, tools, furs, medicine for fever and malaria, castor oil and opium. Some packages contained wines and brandies, chess sets, violin strings, playing cards, cooking utensils, cloth and leather goods as well as silver and gold. Businessmen Russell, Majors and Wadell, who would eventually come up with the idea of a Pony Express, first ran a freight business that consisted of over 3,500 freight wagons carrying thousands of tons of material. Fortunes were made and lost, armies tramped cross-country while cemeteries sprang up along the way. This book is filled with surprising historical tidbits that we sometimes forget existed. For instance, we see pictured the historical landmark of Fort Osage built to house soldiers guarding the new Louisiana Territory. Pictures of the soldier’s quarters give us insight about how they lived. Plank floors, spartan bunk beds and a wood kitchen counter remind us of days gone by. Turning the pages we find everything from old adobe buildings to the Palace of the Governor in old Santa Fe. There are churches, Pueblos and Indian kivas inviting exploration. Every page of this book causes the reader to reflect on the thoughtful and sentimental scenes chosen by the photographer. Faithful mules pulling a U.S. Army wagon, crumbling stone walls of an 1860 stage station, gushing water at a river crossing, remnants of two-hundred year-old cottonwood trees and historical grave markers show what lined the old Santa Fe Trail. We are filled with awe and admiration for the people who braved the new and dangerous land. Photographer Ronald J. Dulle is to be congratulated for his beautifully orchestrated photography combined with this important history lesson. This book belongs in your Old West library. You can grab this beautiful book HERE. The Cochise County Cowboys, who were these men? Joyce Aros, Goose Flats Publishing (P.O. Box 813, Tombstone, Arizona 85638) www.gooseflats.com/aros/ $11.95, Paperback. 112 Pages, Index. 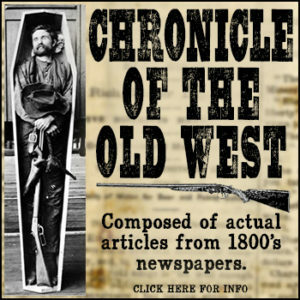 When we read about “Cochise County Cowboys” it is usually within the context of those individuals accused of being enemies of the Earps during the 1880s conflict in Tombstone, Arizona. Wyatt Earp himself was interviewed in the 1930s, and when talking about his life and times he cooked up a lot of fancy along with the facts, determined to tell his side of the story with an eye toward an eventual book and movie contract. Wyatt might have the reputation of being the greatest “Frontier Marshal”, but in his old age he was also a sharp businessman. Certainly he and his brothers, and their pal Doc Holliday were greatly embroiled in the booming silver mine town, but in reality they were only in Tombstone less than 2 years when they were chased out of the Territory wanted for murder. 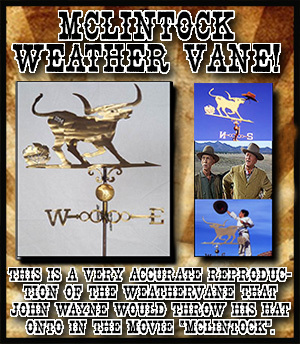 Books, movies, magazine articles, museum artifacts, TV shows and lively historical re-enactors have kept the Tombstone/Earp story alive until it has become so convoluted nobody knows the truth of what really happened. And now, who really cares? Four brothers dressed in long black coats, thumping along the boardwalk, spurs jangling, totin’ well-oiled shootin’ irons is the stuff Hollywood is made of. For night there has to be day, to have good there must be evil. If we are to believe the Earps were frontier defenders of law and order, then there has to be a pack of villains, con-men, robbers, thieves and cattle rustlers for the Earps to tangle with. The worse these characters were portrayed, the bigger heroes the Earps became. At least, that is what audiences gleaned after reading books about Wyatt, and watching movie and TV dramas starring heroes like Burt Lancaster, Hugh O’Brien, Kevin Costner and Kirk Douglas. Enter “Cochise County Cowboys”, whose supposed leader was a grizzled individual known as “Old Man Clanton.” He lived in a shack in the hills, a widower with a passel of mean sons who toted guns and rode with their Pa beside a horde of equally murderous barn-burners with names like “Curly Bill’ and “Johnny Ringo.” They supposedly stirred up every conceivable mischief from stagecoach robbery to cheating at cards. 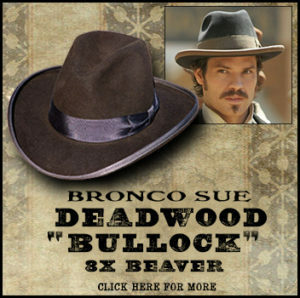 They lived by their guns, fast horses and derring-do. A bunch of liars and back-shooters, they were cruel and heartless scoundrels who had taken over Cochise County. Fortunately the Earp brothers arrived just in the nick of time to save the gentle and defenseless townsfolk. To top it all off, the fighting Earps caught three of those horrible villains at the O.K. Corral on a cold October day in 1881 known as the “Gunfight at the O.K. Corral.” Those gunshots are still being heard around the world. But now, after 135 years, some serious writer-researchers have determined to sniff out the truth, or at least come close to it, and evidence gleaned from census records, newspaper articles, personal letters and courthouse documents bring some truths to light. 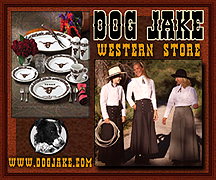 Joyce Aros, a resident of Tombstone, Arizona is an astute observer of human nature, careful researcher, and dedicated historian who has doggedly followed the trail of a dozen “Cochise County Cowboys”. She brings to light the reality of how these men really worked, lived, and sometimes died. She is fair in her assessment of their contribution to the Tombstone saga. She scrapes away the frosting on a highly fantasized cake, and takes the reader into a new world of honest evaluation of the characters involved with the Earps in Tombstone. 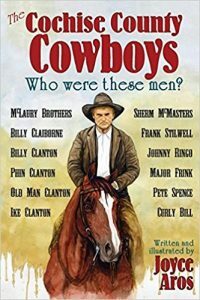 The four Clantons, the McLaury brothers, Frank Stilwell, Johnny Ringo, Major Frink, Billy Claiborne, Pete Spence, Curly Bill and Sherm McMasters are examined here. If you like old Tombstone stories, and are interested in the real truth; this little book is a must for your Old West collection. I suspect Aros will have more of these books forthcoming; perhaps next will be about the Earp women? You can get Joyce’s awesome book HERE.